Grandfather stuffed some tobacco into his pipe, then sit to the rocking chair or armchair and began to smoke with delighted smile on his face. All family members felt that on these occasions the old man became calmer and more sympathetic. Children and grandchildren tried to talk about their requests during this ritual. Nowadays this habit is less popular, but whoever sees a pipe-smoking silhouette refers it to Sherlock Holmes. People of bygone times did not know about the harmful effects of smoking. On the contrary, they thought it is healthy, because the smoke reduces the propagation of pneumatic infections. (Perhaps this false opinion developed because in some cases – in foods like smoked ham, for example – smoking disinfects and conserves.) Smoking was a habit and a way of protecting health. Many famous people became addicted to smoking, because they experienced its mind refreshing effect. Dr. Joseph Bell, after whom the legendary sleuth was modelled, once mesmerized his audience at the university with a deduction focused on a pipe. He called in a patient who waited outside and whom he haven't seen before. The woman entered but said not a single word and the doctor asked her where did she leave her cutty pipe. She took it out from her purse. And what were the clues that put Bell on the right track? They were trifles, of course. Nothing but a small ulcer on the woman's lower lip and a glossy scar on her cheek. These told the professor that she smokes a short-stem pipe that lies close to her cheek. Elementary, isn't it? Sir Arthur Conan Doyle, Hemingway, Milne, J. R. R. Tolkien and Mark Twain were all smokers. 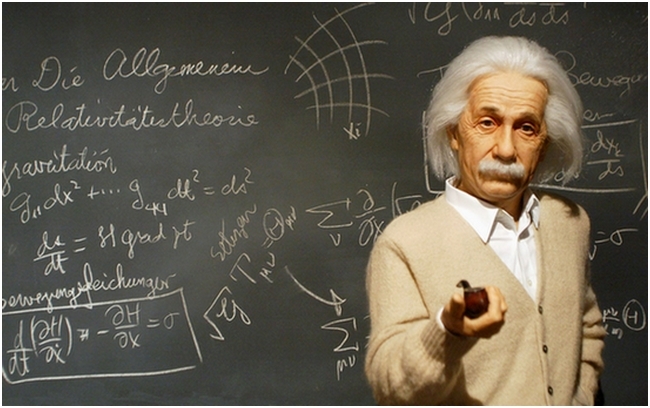 Edwin Hubble and Albert Einstein too – the latter even wrote a poem about smoking. Holmes maybe indulged on smoking during his university years, becuse of its mind refreshing effect. We know from his kind chronicler, dr. Watson, that when he was nervous, Holmes paced up and down and smoked. The cigarettes of the great detective originated from a tobacco shop in London. On special occasions Sherlock smoke cigars, and sometimes he snuffed (He got his snuff-box from a honourable client). "Yes, I have been guilty of several monographs. They are all upon technical subjects. Here, for example, is one 'Upon the Distinction between the Ashes of the Various Tobaccos.' In it I enumerate a hundred and forty forms of cigar, cigarette, and pipe tobacco, with coloured plates illustrating the difference in the ash. It is a point which is continually turning up in criminal trials, and which is sometimes of supreme importance as a clue. If you can say definitely, for example, that some murder had been done by a man who was smoking an Indian lunkah, it obviously narrows your field of search. To the trained eye there is as much difference between the black ash of a Trichinopoly and the white fluff of bird's-eye as there is between a cabbage and a potato." „ I suppose, Watson, said he, that you imagine that I have added opium-smoking to cocaine injections and all the other little weaknesses on which you have favoured me with your medical views. ” Then he tells that he was at the den to find an enemy. 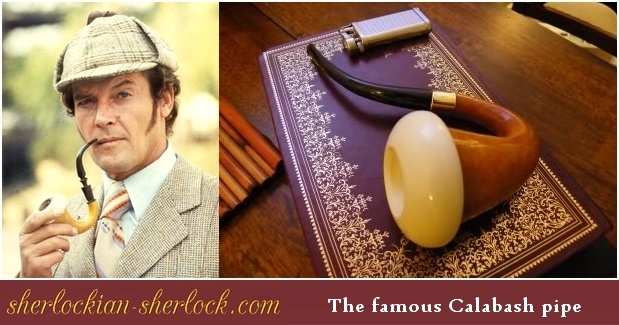 Another specific pipe linked to Sherlock in movies is the calabash. Watson mentions in his writings that his friend had pipes made from clay, briar and cherry. 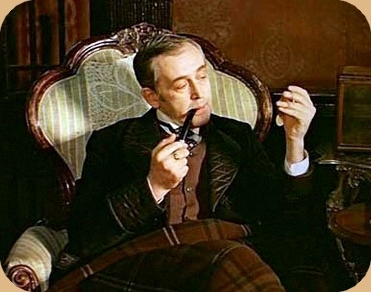 Watson also observed that Holmes preferred the clay pipe in his disputatious mood. So the question turns up: how did a pipe, which Doyle never mentioned in his works become the trademark of Holmes? 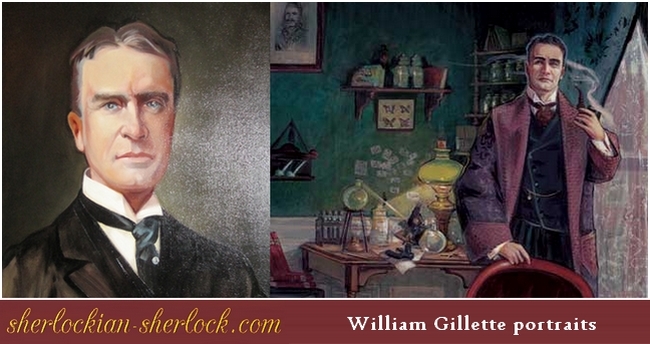 American actor William Gillette came up with the idea that the great detective should have a pipe and a hat onstage. The calabash was perfect in respect of the scene and the smoke too, in addition the actor could rest it if it was necessary. It is said Gillette rest the pipe on his chest. These benefits of the calabash pipe showed up on the screen as well. You could see it in the hands of many actors (Peter Cushing, Roger Moore, John Barrymore, Michael Caine). The success of this type of pipe was aided by the supposition that the bigger is the firebox (where the tobacco is) of a pipe, the more reflective and clever is its user. When the Granada series The Adventures of Sherlock Holmes was shot, the use of the calabash pipe was already a tradition. Filmmakers did not want to break the habit, but at the same time they wanted to be faithful to the ideas of Doyle. 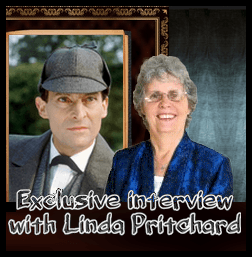 So they came to a special and nice solution: Sherlock (Jeremy Brett) never smokes this pipe at Baker Street, but we can see it in the background. He only uses it outdoors, namely in Switzerland, in The Final Problem, when his thoughts evolve around his arch-enemy, Professor James Moriarty. The famous calabash appears in Young Sherlock Holmes (1985) too. Holmes and Watson investigate some strange deaths and they visit an antiques shop to gain information on an ancient Egyptian artifact. But they have to buy something to get some data, so Sherlock tells Watson to choose, and he picks this kind of pipe. „ But with me there is a limit, and when I find a man who keeps his cigars in the coal-scuttle, his tobacco in the toe-end of a Persian slipper, and his unanswered correspondence transfixed by a jack-knife into the very centre of his wooden mantlepiece, then I begin to give myself virtuous airs. ” - writes dr. Watson. 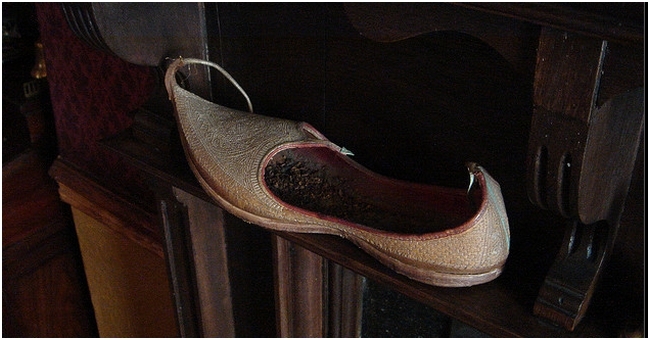 But the good doctor would have not been so shocked if he knew that the slipper was originally made for tobacco. Of course it became a joke soon. In one caricature Watson says: Holmes, I think you overdo this three-pipe problem – and Holmes has three smoking pipes in his mouth. Unfortunately the modern adaptations (BBC’s Sherlock and CBS’s Elementary) broke the pipe smoking habit, because the creators could not find a pipe cool enough for the detective. This way the modern Sherlock silhouettes became pipeless. But how much does Sherlock Holmes worth without his pipe? Please keep in mind that smoking is harmful.
" The pipes of Sherlock Holmes "